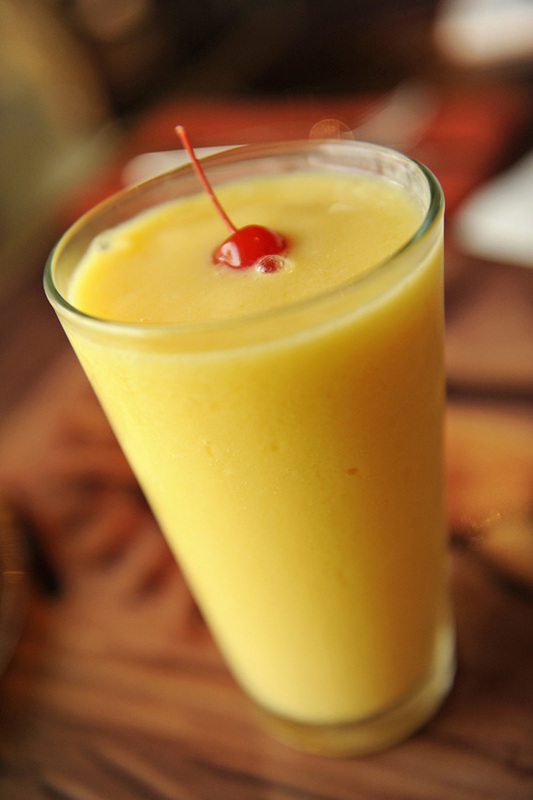 Mango Lassi, a chilled mango yogurt drink, was featured on the 2009 Epcot International Food and Wine Festival menu for New Delhi, India. If mango has string fibers, push through a nylon sieve with the back of a spoon. The remaining mango should not contain any stringy pulp. Refrigerate until cold. Combine mango, pinch of salt, milk and yogurt in a blender and puree until smooth. Taste and add sugar to taste. If you would like the lassi a bit coler, add about eith ice cubes to the blender. Can be refrigerated up to 24 hours. Video on how to make Mango Lassi.